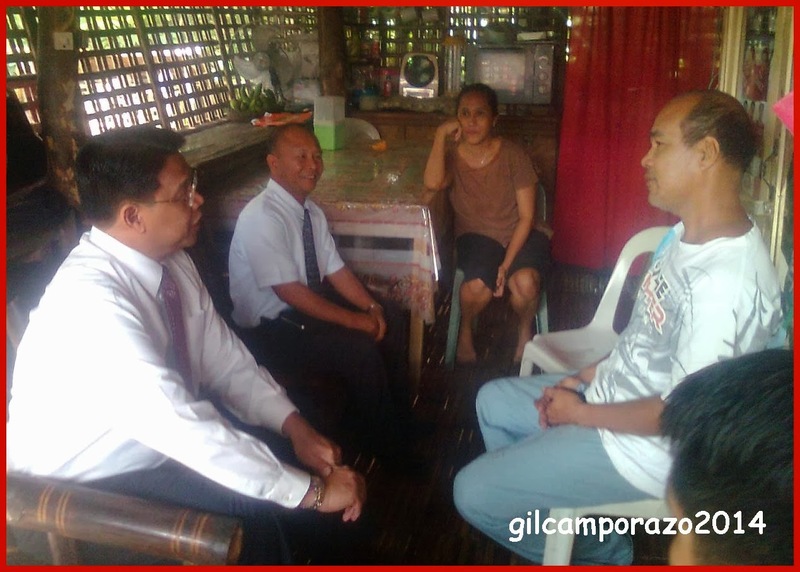 Elder Eleazer S. Collado, the member of the Quorum of the Seventy of The Church of Jesus Christ of Latter-day Saints, took his best time with the La Carlota District members to give them the counsel and instruct them on how to accomplish the PH area goals of concern in 2014. 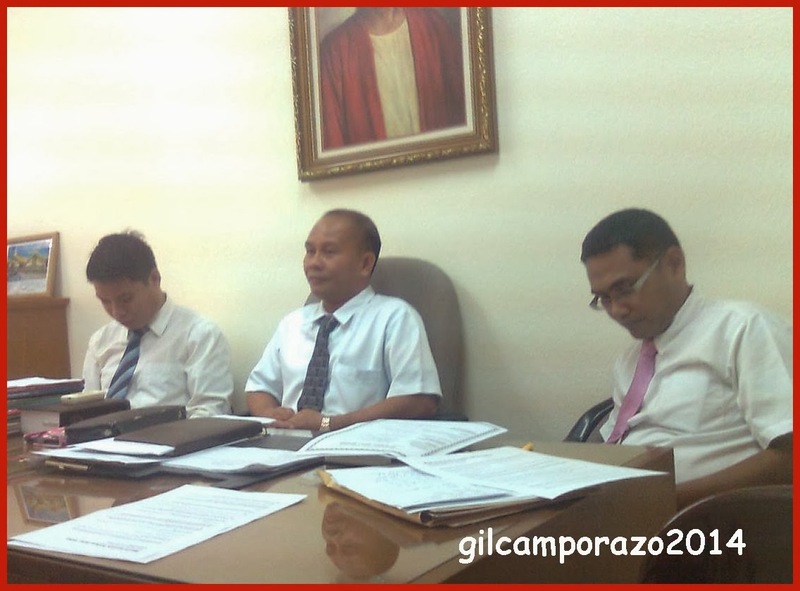 Elder Collado has been called to the eight quorum of the Seventy in April 2, 2011. And recently he visited the La Carlota District to preside the District conference on February 8 and 9, 2014. He is amiable, approachable, easy to get along with. The leaders found him very prayerfully helpful. As the district executive secretary, the following were my impression I have had with him while he was giving the instructions during the Saturday session and while he was giving his practical message of life during the Sunday session. In our day-to-day living, everything is under our grasp. God is so generously of giving all those opportunities for us to live harmoniously, peacefully or of living a life which is inspired of God. The only reason that we couldn't enjoy them is failing to use them even though we are free to do so. We are afraid that it will cost us a lot of burden, a lot of efforts just to benefit from it. We are absolutely wrong. The scripture is clear that God has given us when we feast upon His words and if we are sensitive enough to be tuned with the Spirit, we are told on what to do. Elder Collado conducted a very lively and faith promoting discussion in this line of spiritual thought based on the scripture, 2 Nephi 2:26 of the Book of Mormon. 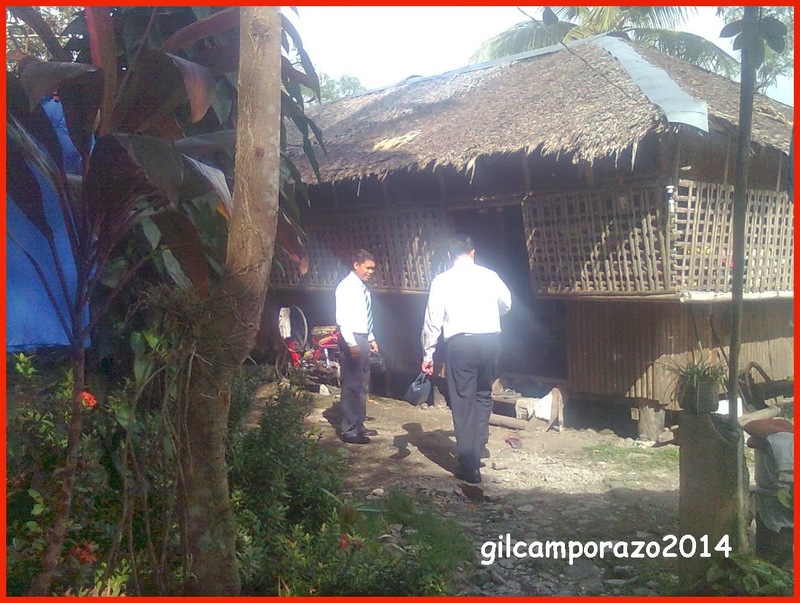 I was privileged to join with Elder Eleazer S. Collado of the Seventy to conduct a home visitation to rescue inactive family, particularly the priesthood holder. President Mario A. Malacaman and his counselor President Zandiv Abonado led Elder Collado to Brother Macalipsay, Jr. of La Carlota first branch and to Brother Rudy Gatucao of La Carlota second branch. These brethren welcomed us to their respective home. Bro. Macalipsay was a farmer and Bro. Gatucao was a motorcycle mechanic. They became inactive from the Church for personal reasons. And we had sensed from them that they had still the desire to go back to the Church in due time. The Church has this program to 'rescue the one' for the Heavenly Father is happy when one soul is brought back to His presence. How much more if two or more souls have been rescued and become active in the Church. Elder Collado assigned me to be one of the Sunday General Session speakers of our conference to talk on commitment. I was so grateful for that opportunity to share what had made me a strong member of the Church for 34 years. My commitment was manifested on my dedication to my various Church callings, on my obligation to baptize all the members of my famly, to let my family be sealed for time and eternity and to let my son to serve the mission; and on my allegiance to the Church by nurturing my testimony of the truthfulness of the gospel, the authority of Joseph Smith to restore the Church of God and the sonship and the divinity of Jesus Christ. This mode of staying firm and steadfast in the Church is the way to eternal progression as what Elder Collado emphasized in his leadership meeting with the priesthood leaders and auxiliary leaders of the Church. He illustrated through a zigzag line going up and down and increasing in altitude until it has reached to the top where the goal for eternal life is directed to. Youth is not exempted in all Church program and activities. One of the goals of the Church in 2014 is to save the rising generation and this is meant for the youths of today. In his Sunday meeting with the youths, Elder Collado dramatized on how temptation is used by Satan to entice the youth to be tempted. He got one female youth as a model by offering her a bar of chocolate, a bottle of cologne, among others. And he expounded how subtle Satan is just to drag the youth to misery like Him. In the Church, he said there are lot of programs, activities which the youth may be preoccupied and may not be tricked or victimized by the craftiness of devil's work. "Eli Eli lama sabachthani? translated as "My God, my God, why have you forsaken me?"' This is one of the seven words which Jesus said while He was about to die on the cross. As a human being like us, Jesus is infirm and weak. He needs also to be comforted of someone who is able and stronger than Him to save Him from his suffering. This is also through to all people. No one is perfect. Everyone is too dependent on the mercy of the Heavenly Father. Everyone has to suffer. Everyone has to go through the refiner's fire before they become perfectly crafted. Perfection is a process. It has several stages to pass. Everyone has to experience death before they will be resurrected and gain the eternal life as promised by the Heavenly Father of being obedient to His laws and commandments. 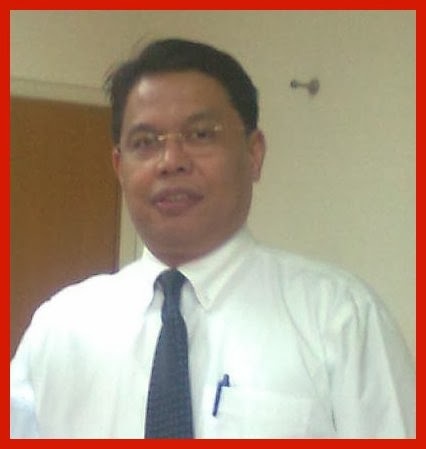 I know Elder Eleazer S. Collado is one of those servants of the Lord to lead the La Carlota saints to the righteous path which the Lord has prepared for them. The Lord wanted the District to become a Stake through the efforts of Elder Collado by 'rescuing the one" and I sense it from the way Elder Collado giving the instructions to the leaders and to the members. Though it is very trying, but it is possible. wow!!! what an amazing tribute.. i hope he reads this so he knows how highly you think of him. I am so sure this will make him smile. I totally agree with you. I myself am afraid to take opportunities sometimes due to the accompanying 'responsibilities'. I guess it is true that we get fulfillment and joy in helping others in the name of the Almighty. And how you describe his work and his passion is just amazing! Truly inspiring. 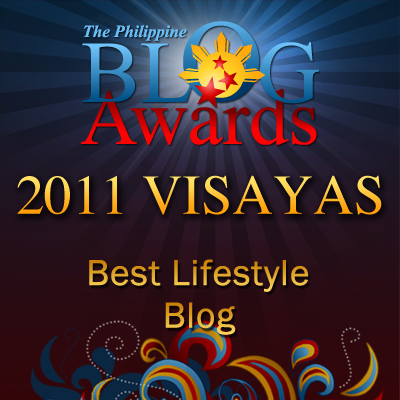 It's really feels great to help others and there are really people who are blessed to have powerful prayers.